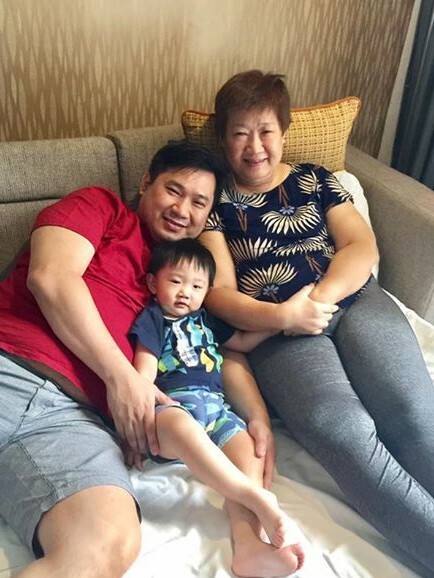 A Staycation is never complete without family, just last Easter, we had a super time with my wife Joanna, son Skyler, my mom and my KTG family, it was a stay to remember for ages. I just loved our corner one-bedroom suite room, so much space, complete with a living area is our sofa which you can convert into a bed perfect for families, huge LED TVs for our entertainment and all day long air conditioning, the only way to escape the summer heat. So many things to do here at F1 Hotel Manila, do visit their gym if you feel the need to burn those calories, or call their in-house masseuse to relax those muscles. Have some fun with the kids as you wade through their pools - a pool for the kids and a pool for adults as well is perfectly located beside the Canary Lounge on the 3rd floor, spend a lazy afternoon with snacks and drinks on the side. And during lunch or dinner, have a taste of delicious cuisines served at F All-Day Dining Restaurant. Enjoy good food this summer on a Friday or Saturday with the featured buffet spread, the Seafood Splash, indulge in the treasures of the sea and cooked in different ways. Have a festive seafood lunch or dinner on a weekend at P1,699 nett per person. F1 Hotel offers a relaxing staycation with the "Fun"tastic Weekend Room Package perfect for the whole family! Enjoy outdoor movie nights, weekend play zone, board games like Jenga, life-sized Snake and Ladders and dessert-making workshops for the kids! Now Bacon is a thing of beauty! Limited room promotions are available at P4,800 nett for Deluxe Rooms and 5,400 nett for City Suite, inclusive of breakfast buffet for two, plus the use of hotel amenities and facilities. And this May, F1 Hotel pays tribute to all Moms with a relaxing Mother's Day Room Package from May 10 to 17, 2017 with prices starting at P6,700 nett per night for an overnight accommodation on a City Suite with a one-hour in-room massage for mom and breakfast for 2. Moms get to dine in for free at F All-Day Dining Restaurant when accompanied by at least two (2) paying guests, which is valid for the whole month of May.